High Performance Packaging has this amazing complete packaging line. IT consists of a Hayssen Ultima 12-16 HR bagger, Ishida CCW-R-214-S-30-PB scale, Incline conveyor and a National Bulk Hopper with Eriez Vibratory Feeder. High Performance Packaging has this amazing complete packaging line. 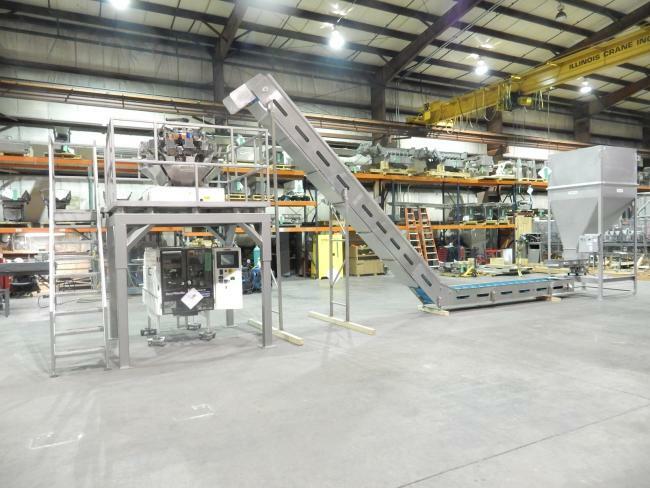 IT consists of a Hayssen Ultima 12-16 HR bagger, Ishida CCW-R-214-S-30-PB scale, Custom High Performance Packaging Mezzanine, Incline conveyor and a National Bulk Hopper with Eriez Vibratory Feeder.